Nina Grey was born in Lvov, Poland in 1907. The city had a large Jewish community and a long history of war from sieges by the Cossack forces in 1648, to battles with Russia and Austria in the First World War, and the captivity of its people during the Second. In 1915, at the age of eight, Grey and her family moved as refugees to Vienna, Austria, where she grew up: attending the College for Jewish Teachers, embarking on a teaching career, and getting married. In 1939 war broke out in Europe and Grey and her husband moved to England. Grey studied sculpture in London, attending the Hornsey School of Art, and then St Martin’s. In the 1960s she exhibited at Ben Uri and at Foyles Art Gallery. 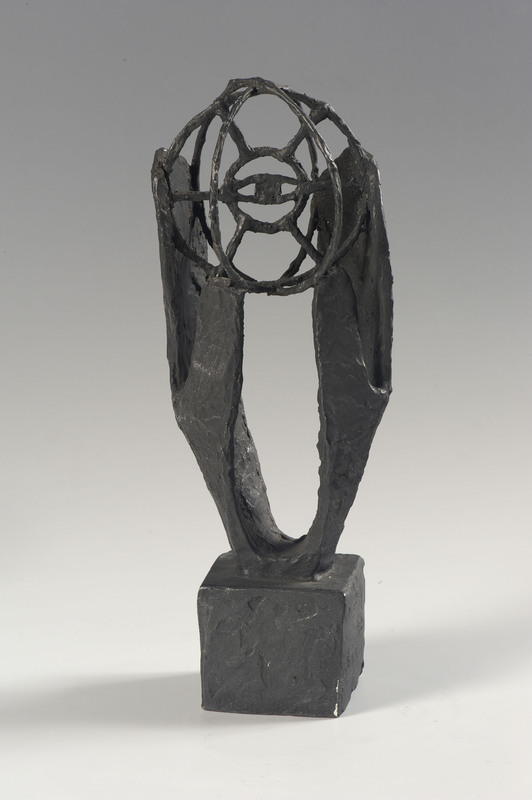 In 1980 she presented a bronze cast of ‘Flame of Remembrance’ to Yad Vashem (World Holocaust Museum, Israel).